Beyond Stone specialises in the custom design and manufacture of granite and natural stone products for residential and commercial projects. At Beyond Stone we work one-on-one with our clients. After preparing detailed drawings, we source the world’s leading natural stone to meet your exact requirements. We offer our clients a huge range of products of world standard and quality with competitive prices and our friendly service. For over 30 years Allstone has been supplying natural stone - from Victorian & vintage designs through to contemporary multi-storey stone facades. Our showroom is constantly evolving to reflect new products and trends. With 100 plus stones, our large displays show the natural beauty of stone; capturing the imagination and making selections enjoyable and easy. Our honest and professional approach to customer service guides the correct stone usage for projects. Visit our impressive showroom, experience the look, feel and warmth of stone and be confident in your selection. J&W Pring Brick & Stone are a leading, local bricklayer & stone mason in the Yorke Peinsula region. With over 40 years of experience in the industry, the skill, knowledge & expertise of our team is incomparable; you can be rest assured that your stonework & bricklaying is off the highest standard. Our comprehensive range of services include: - Brickwork - Stonework - Underpinning - Plastering - Repairing stone houses - Bricklaying For more information, visit our website or contact us today! 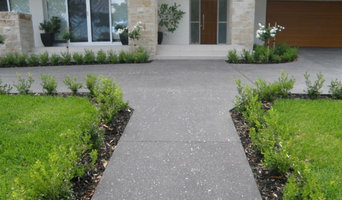 Hi, we are Pro Concrete Cutting Adelaide. We provide Concrete Cutting, Drilling and many more concreting services to the Adelaide Area. We pride ourselves on maintaining a high level or professionalism during any and all tasks. All of our tools are properly maintained to ensure our work quality remains consistent and we always make sure to clean up the site after we finish. All these traits combined make us the most effective and easiest to work with concreting team in Adelaide. JRM Stonework was established in 2005 by Jon Moore - a Dry Stone Waller and Artisan Stonemason - to service residential, commercial and rural clients. The team behind JRM Stonework specialise in the construction of dry stone walls and features, using both traditional and contemporary styles and techniques. 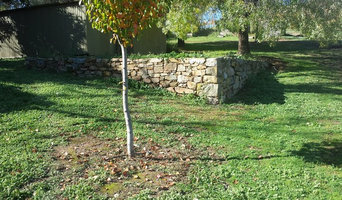 JRM Stonework are a preferred contractor for the Dry Stone Walls Association of Australia (SA chapter) and have the unique skills and experience required for the conservation, repair and restoration of historic dry stone walls. JRM Stonework ensure excellent workmanship and professional service backed by Public Liability Insurance, ReturnToWorkSA registration and Builders license (BLD275905). Our specialised team pride themselves on creating quality assured dry stone walls, stone retaining walls, feature walls, entry walls, mortared walls and other stone features. Based in Adelaide, we are always interested in new dry stone projects in and around South Australia. Stone Unlimited can supply you with the most flexible and innovative range of manufactured lightweight or natural stone in many shades and shapes with InfinitiStone or Norstone. Applications for this range of stone are virtually unlimited and you can create your own dream project inside or out. Suitable and accepted by architects, designers, builders and DIY clients. Installation is by qualified stone masons or licensed installers with experience in the field. Mr. Stone Care is an Australian owned and operated service based company. With just 15 years experience in the stone industry, we specialise in providing full cleaning, sealing and polishing services to residential and commercial stone surfaces such as marble, granite, travertine, bluestone, sandstone, limestone, concrete, terrazzo and terracotta. 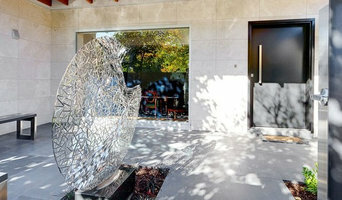 M&A Sealing Technology has been providing expert advice and professional maintenance of porous surfaces, including natural stone, paving and tiles in Adelaide for more than a decade, using the World's leading sealers from Dry Treat, such as Stainproof Original, Meta Creme, Enhance Plus and 40SK - with up to 15 years warranty. 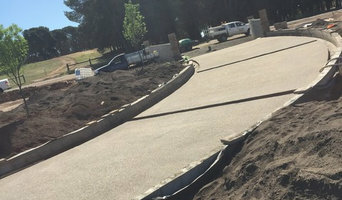 A Adelaide, South Australia stonemason can add kerb appeal to your home and is usually hired for home projects such as driveways, pathways, pool coping and home facades, but can also build retaining walls and fit stone cladding. In some instances, their work can extend to features inside the home, from fireplace surrounds and mantels to staircases. Find an Adelaide, South Australia stone, paver and concrete professional on Houzz. Scroll through this page to find a stonemason, paver or concreter in your area. Just enter your suburb in the top field to narrow your search. You can browse their latest projects, read reviews and see how other homeowners rate their work, and message them directly.